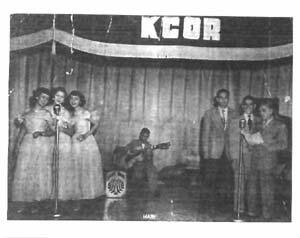 KCOR, which is named after its founder Raoul Cortez holds the honor of being the first radio station to be owned by a Mexican American (1). It began its application process at the end of the war, at the time when the Office of Censorship was still in operation. Because it was broadcasting in a foreign language, the Office placed considerable pressures to prevent its incorporation, fearing that Spanish speakers would more easily break the censorship codes in place. However, the Federal Communications Act approved its license to broadcast in 1946--after the Japanese had surrendered and the Office of Censorship had been dismantled. 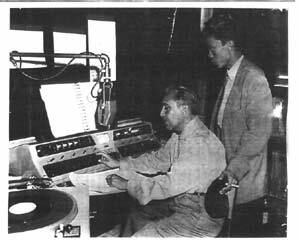 (1 and 4)In the early years, it could only afford to broadcast on 5, 000 watts, relatively small compared to other competing stations such as WOAI (13). Nonetheless, KCOR built up a very steady business of local enrepeneurs who came to realize that Spanish speakers made up a large part of San Antonio's population and would therefore buy their products if they advertised on Spanish language radio (2). In fact, one of its shows, "La Hora de Teatro Nacional", which was a novella, or radio drama was so successful that it was broadcast throughout the United States (1). 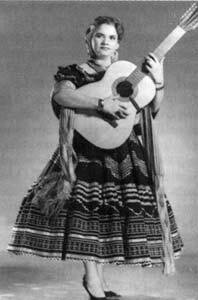 Other programming included very traditional norteño music, or music from the northern region of Mexico as well as boleros, corridos, and conjuntos (6). The deejays were very powerful, providing one of the very few forums where Spanish speakers could discuss politics. One deejay in particular, Mateo Camargo, ran a weekly political talk show called "Frente al Pueblo" (Face the People). He was so popular that he was said to receive mail from "as far away as Vietnam and as diverse as requests to re-read curandero recipes or wheelchair requests." (9) .Camargo, who received numerous state honors, became so well-loved that the city of San Antonio created a park for him after his death (8). KCOR still broadcasts today, on both the FM and the AM bandwidth. It has been syndicated to the netmio corporation. You can check out its programming on http://kcor-fm.netmio.com.